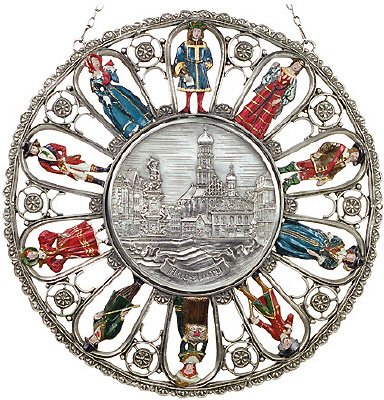 Pewter town motifs are always required as souvenirs, trophies or presents for foreign guests and visitors. Choose from hundreds of heraldic arms, town and country plaques in several designs. Please let us know the required town or city. We will gladly send you a list, a picture or a sample of the articles available.